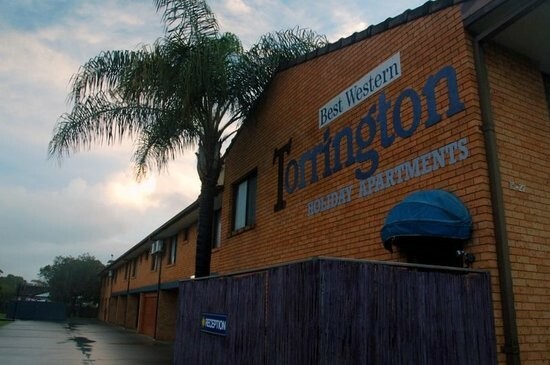 Location: The Best Western Torrington Holiday Apartments is situated right in the heart of Coffs Harbour's tourist area and offers a tranquil atmosphere where you can lay back and relax in a private garden setting, take a swim or indulge in a relaxing spa or sauna. 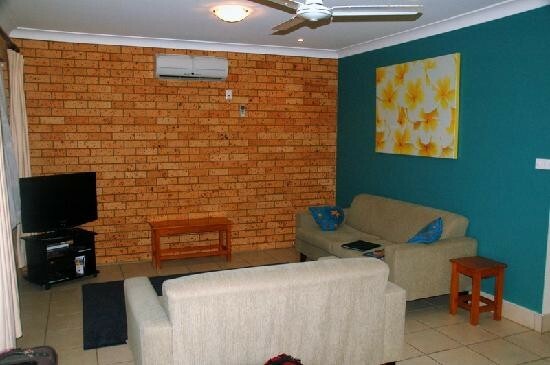 Just a short stroll from the beautiful golden sands of Coffs Harbour's patrolled beach and within easy walking distance of Park Beach Plaza, with over 100 specialty shops. 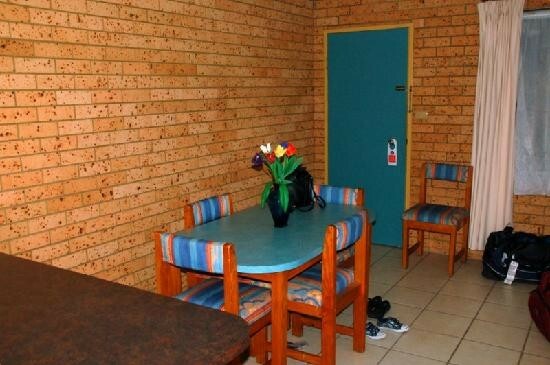 Rooms: Standard in-room facilities for Best Western properties worldwide include dataports, hair dryers, ironing facilities, telephone, heating/cooling (subject to climatic conditions), tea & coffee making facilities, direct dial phones in rooms, non smoking rooms available, modem line available. Restaurant: There is no restaurant on the premises but are plenty of them nearby. There is cocktail lounge with complimentary cocktail. Exterior: Purpose built apartment style building. Lobby: The lobby is small with some seating space. Standard in-room facilities for Best Western properties worldwide include dataports, hair dryers, ironing facilities, telephone, heating/cooling (subject to climatic conditions), tea & coffee making facilities, direct dial phones in rooms, non smoking rooms available, modem line available.